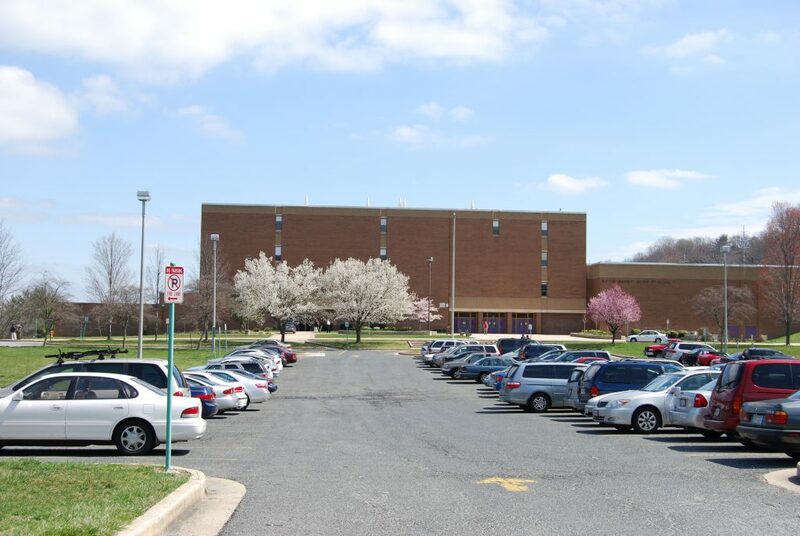 Loch Raven High School. Courtesy Wikimedia Commons. Baltimore City Councilman Brandon Scott made a surprise entrance into the Maryland governor’s race—he announced last Thursday that he’d be running as James Shea’s lieutenant governor. The two say they plan on making Baltimore a top priority. Many have speculated that Scott, who serves as vice chair of the council’s public safety committee and has frequently clashed with Mayor Catherine Pugh, would eventually run for mayor. He doesn’t have to give up his council seat to run, so he doesn’t risk anything by giving this a try. We got to see a little bit of what Mayor Catherine Pugh and other city officials used to unsuccessfully woo Amazon to Baltimore via the website thismustbetheplace.city, and, well, we weren’t impressed. The pitch didn’t feel very much like Baltimore at all. In fact, Port Covington seemed to be the city’s only selling point (it’s a “master-planned, mixed-use, urban redevelopment project,” you know). There’s nothing wrong with seeking to bring new business into the city, but this feels like a real moment to break away from the business-as-usual way things have been done, and create something new. Consider this quote: “The Port Covington peninsula, located in South Baltimore, has very low crime rates, as do the surrounding neighborhoods of Locust Point, Westport, Fells Point, Federal Hill, and Riverside.” Yes, those are the parts of the city that have always received the resources that help keep crime down. But let’s not ignore the parts of the city where crime rates are higher and life isn’t so rosey (there’s no use ignoring it—surely the folks at Amazon have read a paper or two). And, btw, can we start asking these companies what they are willing to do for us, too? The whole country was left reeling after another tragic mass shooting—this time in Parkland, Fla. Here in Maryland, school officials at Loch Raven High School in Baltimore County went on high alert when a student brought a pellet gun the day after the Florida shooting. Police got the gun and no one was injured. Baltimore County Executive Kevin B. Kamenetz noted that he wanted things at the school to go back to normal. But it feels like fear is the new normal now. Then there’s this: Sgt. Aaron Penman, a Republican running to represent Harford County in the Maryland House of Delegates, held a gun bingo fundraiser the weekend after the Parkland shooting. One of the prizes: an AR-15, the same kind of rifle used in Florida and in other mass shooting events around the country. We’ll just say kudos to the protesters who didn’t let the weekend’s snow stop them from showing up outside the event and holding a vigil for victims of the mass shooting. 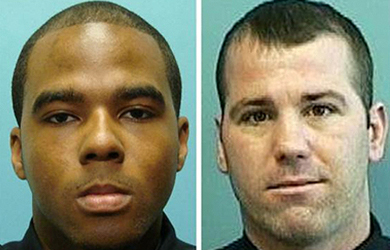 Gun Trace Task Force (GTTF) members Daniel Hersl and Marcus Taylor (the only two of the eight federally-indicted officers not to plead guilty) were found guilty by a jury on Feb. 12. Next comes the sentencing of all eight of them in the spring, but in the more immediate: Ongoing demands for massive police reform. Del. Bilal Ali recommended disbanding BPD (an idea Mayor Catherine Pugh quickly dismissed). Meanwhile, BPD commissioner Darryl DeSousa went on ABC2 News and apologized to the public for GTTF’s actions and also declared that there will be an “independent, outside” group looking into Det. Sean Suiter’s death. Suiter was killed just one day before he was supposed to testify to a grand jury about a GTTF-related incident. 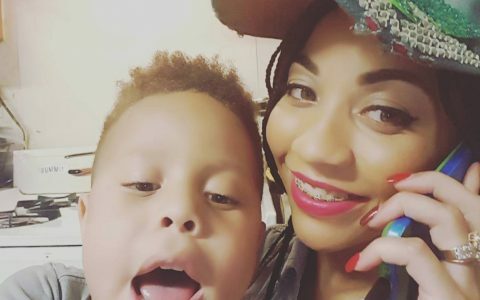 A jury made up entirely of women found that the police shooting of Korryn Gaines and her son to be “not objectively reasonable,” awarding her family $37 million. The ruling feels bittersweet, considering the officer who shot her has received a promotion since the August 2016 incident. The Baltimore Sun has noted that the case is far from over, and it’s likely that Gaines’ family will never see the full amount. It’s notable that although Baltimore County government attorney Mike Field released a statement indicating that he could appeal the verdict, County Executive Kevin Kamenetz, who is running for governor, declined to comment. And of course, no amount of money will bring a life back. There have been four homicides between Feb. 12 (when last week’s issue of the Beat went to press) and Feb. 19 (when this week’s issue goes to press): Sadik Griffin and John Townes Jr. on Feb. 13, Maurice Anthony Knight on Feb. 15, and a victim not yet identified by police on Feb. 17. These four homicides come after a lengthy break without any homicides—from Feb. 3-12. So far this year there have been 31 homicides in Baltimore.